The superintendent said he was surprised to see a backlash this week to a presentation on inclusion. 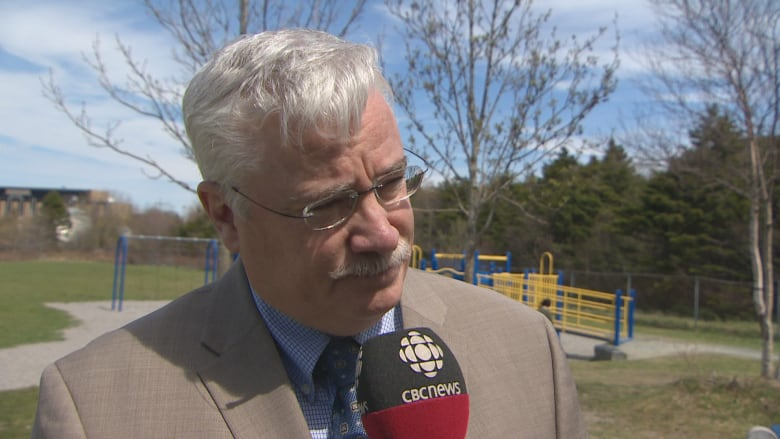 The superintendent of the Newfoundland and Labrador English School District said he was surprised to see a backlash this week to a presentation on inclusion in Middle Arm. Tony Stack told CBC that Get Real — which was greeted by several parents of students at MSB Regional Academy urging a boycott — is one of several similar presentations that visit schools throughout the year, including ones from the Red Cross and the Office of the Child Youth Advocate. "It's just part of our business, it's our routine business. We have a lot of groups coming in, talking about various issues," Stack told Here & Now. "This is just how we do business. We have a safe and caring schools policy, an inclusive environment. Every student should attend school feeling respect and inclusion." 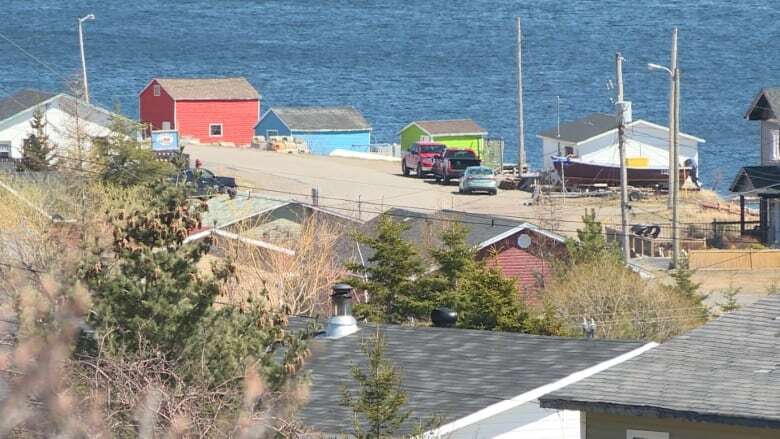 Stack said he'd prefer to focus on the fact that the 13 students who did attend had "a wonderful briefing" from a presentation that has been visiting communities in western and central Newfoundland for the past couple of weeks. 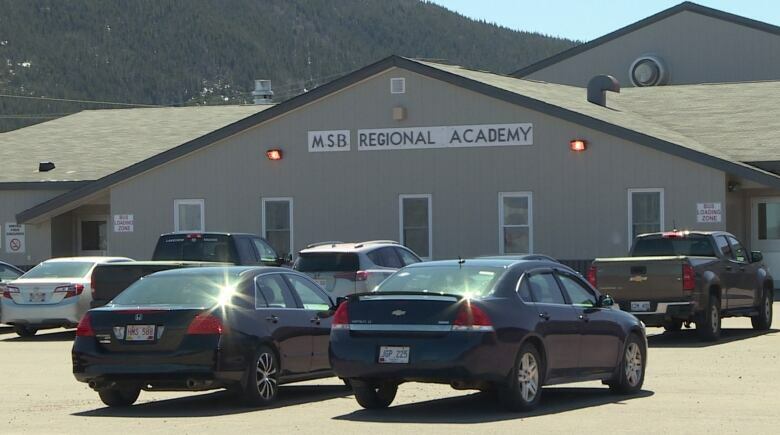 "I think the 13 students that did participate had a wonderful briefing and participated well," he said, adding that it's unfortunate some children weren't allowed to attend. "But we tend to go back again around. We've got a lot of this on the go for the last five years or so, so there'll be other opportunities." Stack said he doesn't see it as a religious issue. "This is about respect. It's about inclusion. Nobody is telling anybody here how to live. This is really about our students feeling accepted in the classroom and in our schools, and in society in general," he said. "I don't think the school system has always gotten this right, but we learn, and it would be completely unacceptable for us to know that there are students out there who are feeling the stress and pressure." Rates of self-harm are higher among students who "may have differences," said Stack. "In this modern society, in 2018, we have to do everything we can to counter that." Get Real, the Toronto-based group that presented the workshop, said the session was positive and productive for the students who attended. Chris Studer said it was their fifth tour in Newfoundland, and are taking the experience in Middle Arm in stride. "We were surprised for sure, but we're not an organization that would make a sweeping judgment about an entire school or an entire community. If anything Get Real has really taught us to dispel any pre-conceived notions we have of anybody," he said. "I don't think anything that's happened this week has changed this. If anything, maybe it's made some people more aware of our work. We hope people go to hear from people who saw the presentation firsthand, that it really did have a positive impact and it's nothing to be afraid of."